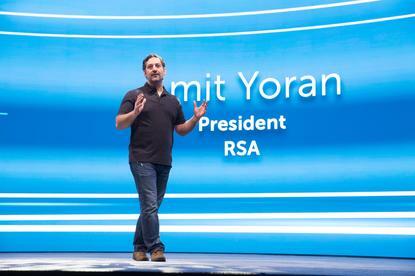 That’s the view of Amit Yoran, president of RSA, who kicked off RSA Conference 2016 with an opening keynote to another record crowd of cybersecurity professionals. This year, Yoran urged the overflow crowd to step back and assess the industry’s challenge from a different perspective, calling for organisations to focus technology investments on supplementing and enhancing their security teams’ native capabilities to make them smarter, more efficient, and more scalable. Highlighting the industry’s ongoing failure and some of the most painful security breaches of 2015, Yoran placed the blame on outdated approaches to security and a lack of alignment between technology solutions and the human problem they seek to address. Acknowledging that organisations will never have as many cybersecurity professionals as are needed, Yoran detailed cybersecurity priorities for organisations and governments to better empower security teams to secure themselves against advanced threats. “Organisations need to create a culture that embraces the smart creative, the free thinker, and the curious,” Yoran says. Yoran called for organisations to focus technology investments on technologies that enhance rather than replace human creativity and problem solving. “We need tools that give us comprehensive visibility and perspective,” he adds. Yoran also indicated that the international public sector has an important role to play in creating policies that help rather than hinder security efforts. Consequently, Yoran was highly critical of any proposed weakening of encryption suggesting any policy that does is severely misguided. Yoran concluded that the security industry needs to “wake up” and think as creatively as those who founded the industry.